Doctors are learning that one of the best ways to fight disease and illness is by avoiding the very foods that cause chronic inflammation. While this isn’t a new concept for those with a more holistic view of the body, it is for the modern medical system, which focuses on treating symptoms instead of addressing the root cause of an issue. Your immune system becomes activated whenever it recognizes a foreign substance – whether that be a chemical molecule, invading microbe or plant pollen. This triggers a process known as inflammation – a beneficial process when triggered for the right purposes. However, when this inflammation stays triggered, day in, day out, it becomes not quite so beneficial. In fact, many major disease like cancer, heart disease, diabetes, arthritis, depression and Alzheimer’s have all been linked to chronic inflammation. 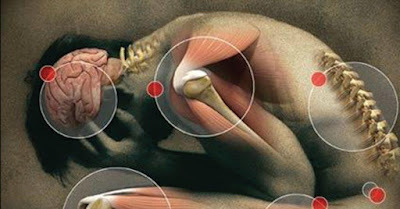 Arthritis is inflammation of the joints. Heart disease is inflammation of the arteries. ALS is inflammation of the central nervous system. The list goes on. Great, so inflammation causes disease. But how does it do that? What happens inside the body when inflammation becomes chronic and systemic? How is it implicated in different diseases? According to Maija Kohonen-Corish from the Garvan Institute of Medical Research, chronic inflammation causes cancer through tissue destruction and scarring, and reshaping of the tissue architecture, as well as contributing to changes in gene expression that sustain tumorigenesis (3). The constant presence of inflammation in the body also creates an environment where cancer cells thrive. “In a nutshell, it is believed that inflammatory mediators such as cytokines and chemokine, when persistent in the flamed tissue, can induce proliferation, survival and growth of cells and modify their differentiation status, ‘forcing’ them to undergo transformation,” Kohonen-Corish explained. Even in heart disease, inflammation is implicated. When cholesterol-rich plaques buildup in the blood vessels, the body perceives this as abnormal and foreign. As a result, the body tries to cover up the plaque from the rest of the flowing blood. However, if the plaque ruptures, the walled-off contents can come into contact with blood and trigger a blood clot formation. This, of course, can cause a heart attack, or stroke (depending on how close the blocked artery is to the heart or brain, respectively). Cytokines that develop as a result of chronic inflammation can interfere with insulin signalling, according to a 2009 article in the journal Gerontology. This results in increased insulin resistance and spiked blood sugar. The blood sugar spikes trigger white blood cells to attack, and inflammation continues. As a result, the risk for diabetes increases. Chronic inflammation is implicated in many lung disorders like asthma and chronic obstructive pulmonary disease (COPD), which includes chronic bronchitis and emphysema. When the lungs are inflamed, fluids and mucus accumulate, making the airways narrow, and breathing difficult. Inflammation has even been associated with increased bone loss and lack of bone growth, according to a 2009 article in the Journal of Endocrinology. Scientists believe that cytokines (that result from systemic inflammation) in the blood interfere with bone “remodelling” – the process in which old, damaged pieces of bone are replaced with new ones. Inflammation in the gut can also reduce the ability of the body to absorb certain nutrients from food, like vitamin D and calcium, which are essential for bone health. Not so surprisingly, a study published in JAMA Psychiatry found that people with depression had 30 percent more brain inflammation than those who were not depressed. Another study published in The Journal of Clinical Psychiatry similarly found that those who are depressed have 46% higher levels of C-reactive protein (CRP), a marker of inflammatory disease, in their blood samples. While doctors might recommend anti-inflammatory medications like ibuprofen and Advil, an easier (and safer) route would be to avoid the foods that cause inflammation in the first place. Unlike extra virgin olive oils and coconut oils, vegetable and seed oils are often extracted from the seeds of plants using harsh solvents like hexane, a component of gasoline. This includes oils like corn, safflower, sunflower, canola (also known as rapeseed), peanut, sesame and soybean oils. Not only are these oils highly processed, but they promote inflammation as a result of their high omega-6 fatty acid content. While omega-6 fatty acids are required in small amounts, the amounts that Western diets provide are much more than people need. The reason people create so much mucus after consuming dairy is mainly because it is an inflammatory food. Dairy is an irritant (aka. foreign invader), which triggers the inflammatory response in the body. As a protection mechanism, the body creates mucus to protect itself from the irritant (dairy) you put in your body. Dairy includes everything made from a cow: milk, ice cream, yogurt, cheese, cottage cheese, sour cream, cream cheese, etc. What To Use Instead: plant-based dairy alternatives like almond or coconut milk, yogurt, cheese and so on. The options are endless! Everyone and their neighbour is scared of carbohydrates – but not all carbs are problematic. Our ancestors consumed high-fibre, unprocessed carbohydrates for millions of years in the form of grasses, roots and fruits. It’s when refined carbohydrates come into the picture, and when problems start to arise. Researchers have found that refined carbohydrates encourage the growth of inflammatory gut bacteria, which increases the risk of obesity and inflammatory bowel disease (9). In another study, healthy young men fed 50 grams of refined carbohydrates in the form of white bread responded with an increase in the inflammatory marker Nf-kB. The list of refined carbohydrates are endless. They range from pasta, to white rice, rice snacks, crackers, cakes, cookies and bagels. Not to mention donuts, muffins, sandwich bread, sweet bread, baked desserts, pastries, pizza dough, hamburger or hot dog buns, pancakes and waffles. Instead of these, opt for some of the suggestions below. What To Use Instead: ripe fruit, starchy roots (like potatoes and beets), buckwheat and quinoa. Conventional, processed meats like sausage, bacon, ham, smoked meat and beef jerky are known to cause inflammation in the body. They contain more advanced glycation end products (AGEs) than most other meats, meaning they’re cooked at ridiculously high temperatures. AGEs are known to cause inflammatory changes that can lead to things like heart disease, diabetes, stomach cancer and colon cancer. What To Use Instead: beans and legumes, hemp “tofu”, Beyond Meat. Do you crave soda, snack bars, candy, baked sweets and other sugary treats? You could be creating more inflammation in your body than expected. According to a review in the Journal of Endocrinology, when we eat too much glucose-containing sugar, the excess glucose our body can’t process quickly enough can increase the levels of pro-inflammatory messengers called cytokines. While the natural sugars found in fruit and vegetables (aka. fructose) are fine to consume, getting large amounts from highly processed, refined fructose is a bad idea. Eating a lot of refined fructose has been found to cause inflammation within the endothelial cells that line your blood vessels. It has also been shown to increase several inflammatory markers in mice and humans. What To Use Instead: coconut palm sugar, maple syrup, raw honey, fruit. Artificial trans fats are some of the unhealthiest fats you can eat. These oils are often listed as “partially hydrogenated” oil on the ingredients list. They can be found in highly-processed foods like crackers, frozen foods, and margarine to extend shelf life. Artificial trans fats have been shown to cause inflammation and increase disease risk (15). Ingesting trans fats has also been linked with high levels of inflammatory markers like interleukin 6 (IL-6), tumour necrosis factor (TNF), and C-reactive protein (CRP). In the Nurses Health Study, CRP levels were 78% higher in women who reported the highest trans fat intake. You can see why steering clear of these fats is a wise choice to make. While you can’t really substitute anything here, just be sure to steer clear of anything in the nutrition label that reads trans fats. While reducing your consumption of these foods will greatly lower the levels of inflammation in your body, you also need to understand that certain lifestyle choices also wreak havoc on the body. Try to get to bed early, get 15-30 minutes of sun every day, and keep stress to an absolute minimum.